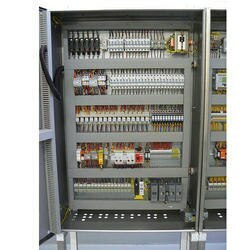 Product Details: Phase	Three Phase Usage	PLC Automation Rated Frequency	50 Hz With rich industry experience and knowledge, we are offering a wide range of Electrical Control Panel. This control panel is manufactured using best quality component and modern technology at our well-equipped manufacturing unit. The offered control panel is appreciated for its long service life feature & used for controlling the electric supply.